Former NC Poet Laureate Fred Chappell and poet Dana Wildsmith will offer a joint reading on Friday, November 21st at 6:30 p.m. at City Lights Bookstore. Chappell will present his new poetry collection, Familiars, a salute to literary cats including cats that have appeared in his own work. Fred Chappell is an award-winning author of twenty-six books of poetry, fiction, and critical commentary. His most recent collection was Shadow Box. A native of Canton in the mountains of western North Carolina, he taught at the University of North Carolina at Greensboro from 1964 to 2004 and was the Poet Laureate of North Carolina from 1997 to 2002. He and his wife, Susan, live in Greensboro. Dana Wildsmith will share poems from her book, Christmas in Bethlehem. This collection brings the reader back once more to Wildsmith’s family farm in Bethlehem, Georgia, a farm introduced through Wildsmith’s earlier poetry collection, One Good Hand, and her environmental memoir, Back to Abnormal. Wildsmith is the author of four collections of poetry and a novel. She teaches English Literacy through Lanier Technical College. For more information or to reserve copies please call City Lights Bookstore at 828-586-9499. Former NC Poet Laureate and Western North Carolina native Fred Chappell joins us to share his most recent book, Familiars: Poems. 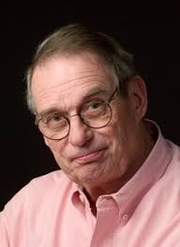 Chappell is the author of more than thirty books of celebrated poetry, fiction, and nonfiction. A founder of the MFA program at UNC Greensboro, Chappell taught there for forty years during which time he received many awards for his writing and teaching. Discussing Chappell’s place in Southern literature, Lee Smith (Guests on Earth) once said, “Fred Chappell is our resident genius, our shining light, the one truly great writer we have among us.” Please join us for the reading and a wine and cheese reception afterward. Fred Chappell signs Ancestors and Others: New and Selected Stories. Fred Chappell is currently considered a "single author." If one or more works are by a distinct, homonymous authors, go ahead and split the author. Fred Chappell is composed of 3 names. You can examine and separate out names.